Fair warning: About four of you are going to enjoy this show. 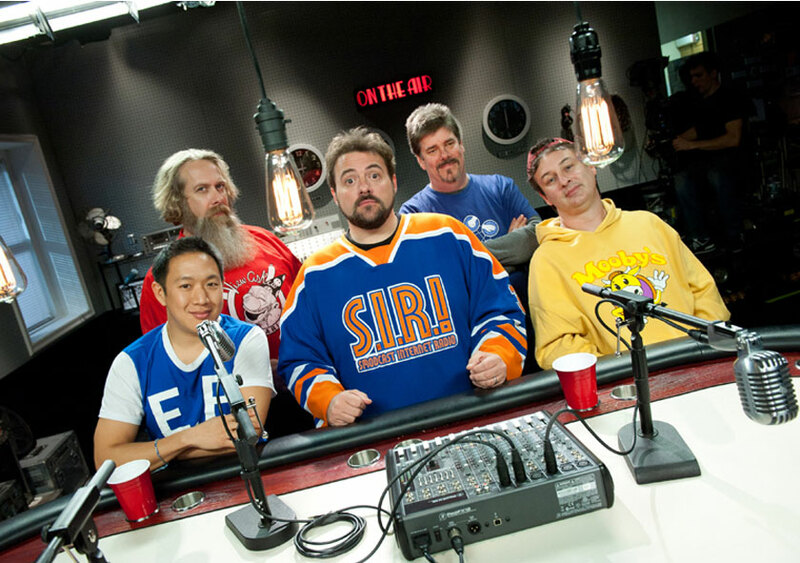 The latest offering from geek-made-director Kevin Smith is an unscripted, junk drawer style discussion about the life that surrounds his own slice of fandom (or possible tax shelter) “Jay & Silent Bob’s Secret Stash”, in Red Bank, New Jersey. Considering that only one episode has aired, I’m not sure that the format is set for the entire six-episode series, but since it’s all I have to complain about (since I’m a geek with an online forum) then I guess that will have to do. This is what the staff actually wear if you ever visit the store. 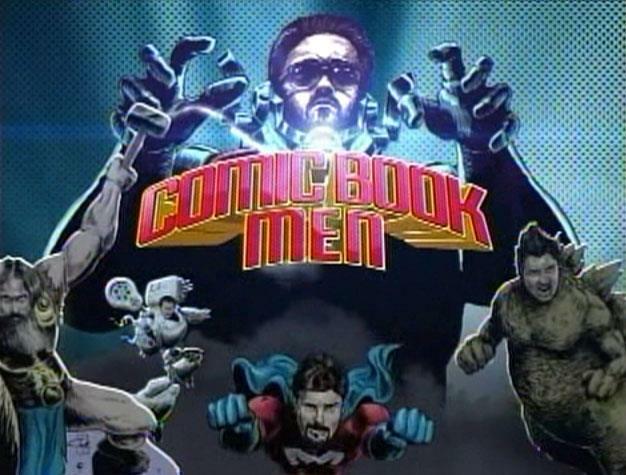 Ok, let’s get the harsh stuff out of the way: If you aren’t interested in comics, you won’t be interested in this show. In fact, if you’re not very interested in comics, you’ll probably find this show as fascinating as coverage of the Australian Cricket selection process. Now, for the both of you still interested: It’s not the worst way to spend an hour of your time. The show is complied from the podcast recordings made by the players, along with fly on the wall coverage of the store. While the round table discussion predictably consists of dissecting comic books and their characters (Who was your superheroine crush? Was it ok for Green Arrow to smack his sidekick around when he caught him shooting up? ), the stuff shot in the store involves the employees and apparent store fixture Bryan Johnson (who clearly has no life) attempting not to be bored to death by inactivity between visits from clearly unbalanced individuals attempting to sell their unwanted “collectibles” to Walter, the store manager. There’s no particularly insightful conversations involving pop culture in any way (maybe that will change in later episodes), but the in-store stuff raises a few chuckles. In particular the encounter with a mysterious customer who enters with a bag handcuffed to his wrist. You read that sentence correctly, friends. Apparently he felt this would make the staff take him more seriously. Can you tell in which issue of which title did Batman make his first appearance? No? Don’t bother. Thankyou for reviewing this. I heard this show is getting panned in the USA. Yeah…I don’t think this falls under Smith’s category of “critic-proof”. This is way better than a brick & mortar esbhslitament. Yeah, don’t interpret that so much as an indicator of quality as the fact that the audience for this show is about as niche as it gets. Not to mention that when you get two members of that niche audience (being comics) in the same place at the same time you inevitably end up with an argument.